Everyone needs quality sleep to enjoy a fulfilling life. If you’re struggling with chronic snoring and exhaustion, you may have heard of sleep apnea as a possible source – but what is this condition, exactly? How can you identify it? What treatment options are available? At 21st Century Dental, our team looks forward to tackling your sleep woes head-on so that you can finally rest easy at night. For an initial consultation, contact the practice today in Las Colinas, TX. 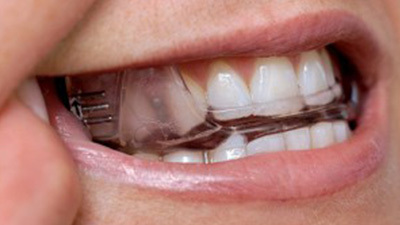 Why Choose 21st Century Dental for Sleep Apnea Treatment? 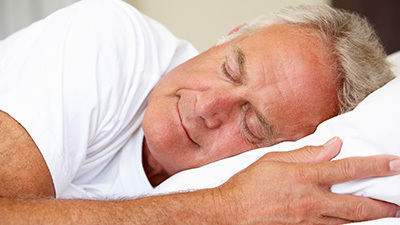 When it comes to sleep apnea treatment, Dr. Kent Smith is a true expert. He is the current president of the American Sleep and Breathing Academy, a Diplomate of the American Board of Dental Sleep Medicine, the creator of a sleep curriculum at the prestigious Las Vegas Institute, the first Texan recipient of the Dental Sleep Medicine Facility Accreditation – the list goes on and on! His sleep medicine practice Sleep Dallas shares space with 21st Century Dental, and we couldn’t be prouder to help our patients wake up with a smile. Sleep apnea is a sleep disorder that has the potential to become very harmful. It is characterized by breathing that repeatedly stops and starts while patients are unconscious, fracturing their rest. Common symptoms include loud snoring, regular feelings of fatigue, morning headaches, and reduced concentration and memory. Obstructive sleep apnea (OSA) is the most common form of sleep apnea, and it occurs when the throat muscles become too relaxed and block the patient’s airway. The lack of oxygen will cause the brain to send out an emergency signal that wakes the patient so that they can readjust and start breathing properly again. Over time, these frequent disruptions can damage a patient’s health, productivity, and temperament – not to mention the fact that they may become a danger to the people around them. Snoring is a widespread “bad habit” that occurs when a person’s airway becomes partially blocked as they sleep. While it is not always a surefire sign of sleep apnea, Dr. Smith considers it a red flag that needs a closer look. A significant majority of patients with sleep apnea also snore, and chronic snoring could even lead to its gradual development over time if it’s not kept in-check. 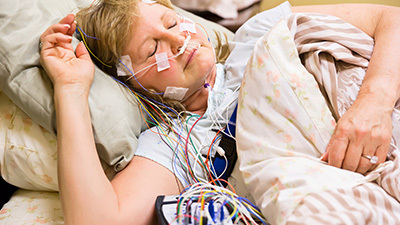 A sleep test can help us better understand the severity of your condition and whether further steps need to be taken. So you’re a match for some of the sleep apnea symptoms…now what? A sleep test is the best way to pinpoint the details of a patient’s condition and determine the most suitable treatment options. Better yet, patients won’t have to spend the night in an unfamiliar laboratory! We use a special technology known as the Watch PAT that can be worn comfortably around the wrist throughout the night. It will measure information like sleep position, level of oxygen in the blood, and how much the patient snores, giving Dr. Smith everything he needs to understand your particular situation. Oral appliance therapy is usually a good fit for patients with mild to moderate OSA or who have struggled with using a traditional CPAP. The way it works is simple – you will wear the appliance throughout the night, allowing it to reposition the jaw and/or tongue so that airway blockage is successfully prevented. The device is custom-made, comfortable, and easy to travel with! We offer several brands that all have their own unique advantages in order to find the best path forward for our sleepy patients. CPAP (also known as Continuous Positive Airway Pressure) machines have long been considered the “gold standard” for treating sleep apnea. It consists of multiple parts – a small box with a motorized fan, a tube, and a facial or nasal mask that the patient wears. The machine will draw air from the room throughout the night, pressuring it and delivering it directly to the patient so that they don’t experience any breathing concerns. While CPAPs are effective, many patients simply can’t deal with the noise and discomfort involved, making high noncompliance rates a serious problem. Dr. Smith can help you determine whether this option is a good fit for your specific needs, personality, and sleeping style. Hybrid therapy is the joint use of a custom-made oral appliance and a CPAP machine to treat sleep apnea. 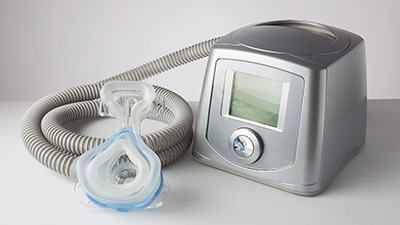 This method can be very effective for several reasons – one, because the CPAP machine can be put on a lower setting, patients enjoy added comfort and are most likely to comply with treatment over a long span of time. Also, the oral appliance can still be used alone when traveling for partial relief from symptoms. When sleep apnea is incredibly severe or caused by a structural problem (such as a deviated nasal septum or an overly small lower jaw), surgery may be the only way for patients to achieve long-term relief. Common sleep apnea surgeries include nasal surgery, mandibular maxillomandibular advancement surgery, or uvulopalatopharyngoplasty (try saying that five times fast). Rest assured that Dr. Smith will only recommend these invasive methods as a last resort.